And here comes another portrait again from the website PMP. 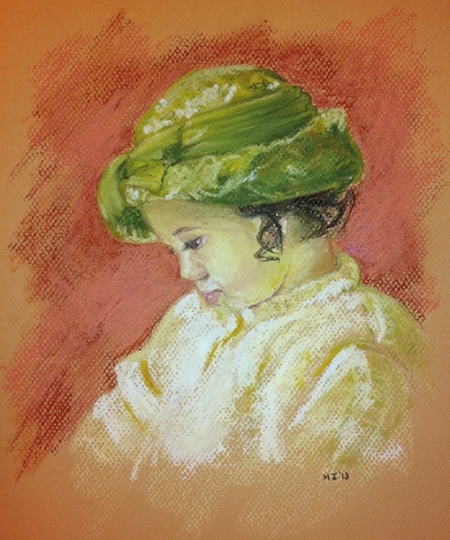 Another girl portrait in oil pastels on Canson Mi-Teintes paper (9x10 inches - cropped). I had a hard time with this one since the source photo clearly showed green reflections from her hat into her skin. I also drew it very small on the paper and ended up using some oil-based colored pencils for some of her tiny facial features. Oh well, on to the next one!